The concert will take place on Friday, January 20 at 8:15 p.m.
Mark your calendars for Friday, January 20, the day the Moorestown DeCafe opens 2017 with the River City Healers. 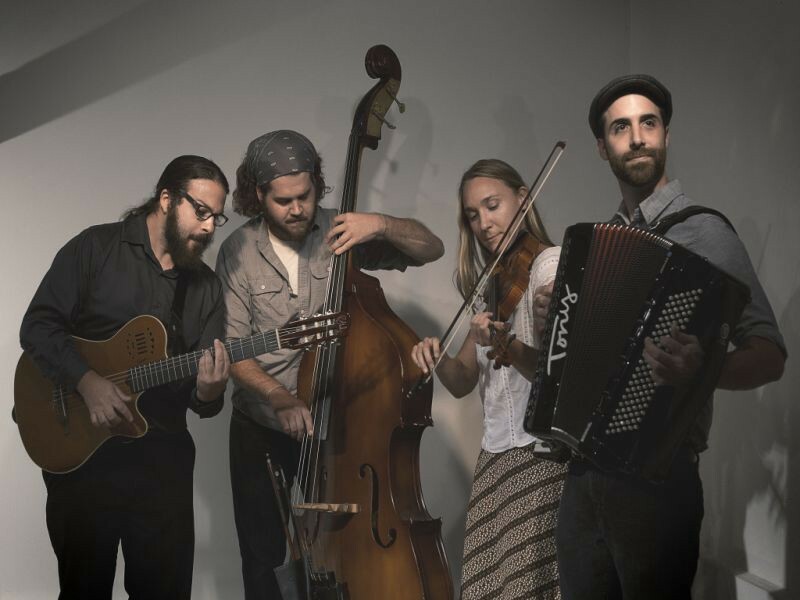 A quartet formed on the banks of the Delaware River in Lambertville, the Healers combine jazz standards, traditional gypsy tunes, Klezmer melodies, tango rhythm and everything in between to create an upbeat, joyous experience. DeCafe provides a warm coffeehouse environment for great music in an intimate setting surrounded by art. Perkins Center for the Arts is located at 395 Kings Highway, and doors for the event will open at 7:30 p.m. The concert will start at 8:15 p.m. The $20 fee includes coffee, tea and treats. For tickets, call (856) 235–6488 or visit www.perkinsarts.org.